Do you love the idea of Inbound Marketing, but think you'd struggle to find the time needed to make it a success? Are you unsure how Inbound would fit into your wider marketing mix or have you found it difficult to incorporate inbound marketing in the past? Do you have ambitious growth goals for 2019 and work at an Enterprise sized company? Our team has been certified by the leaders in the industry. 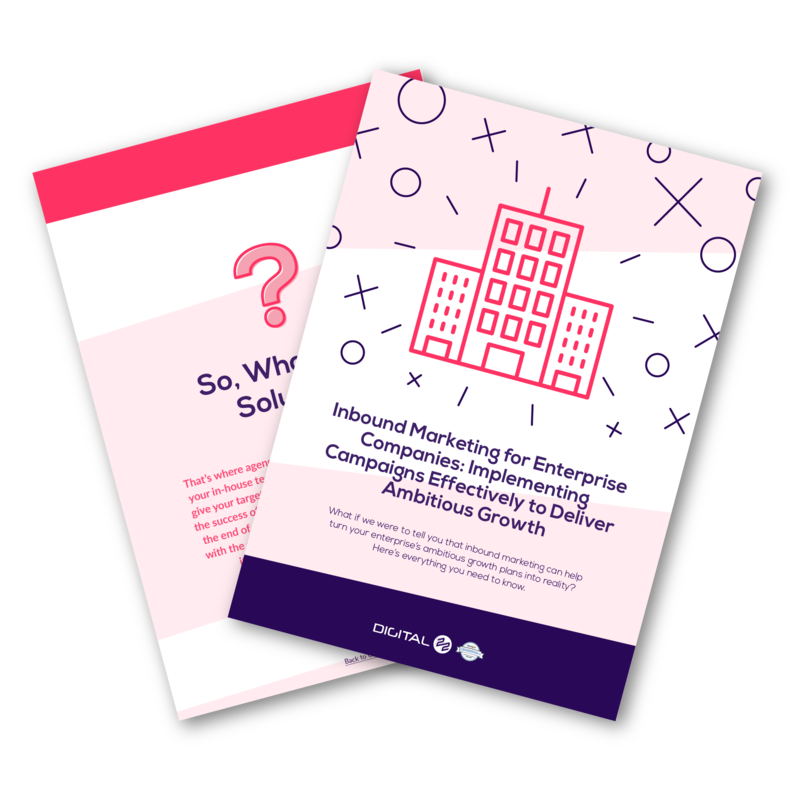 There are many reasons why enterprise companies typically struggle to implement inbound marketing, and here at Digital 22, we're fully dedicated to helping companies overcome these issues, allowing them to enjoy all the benefits which inbound has to offer.